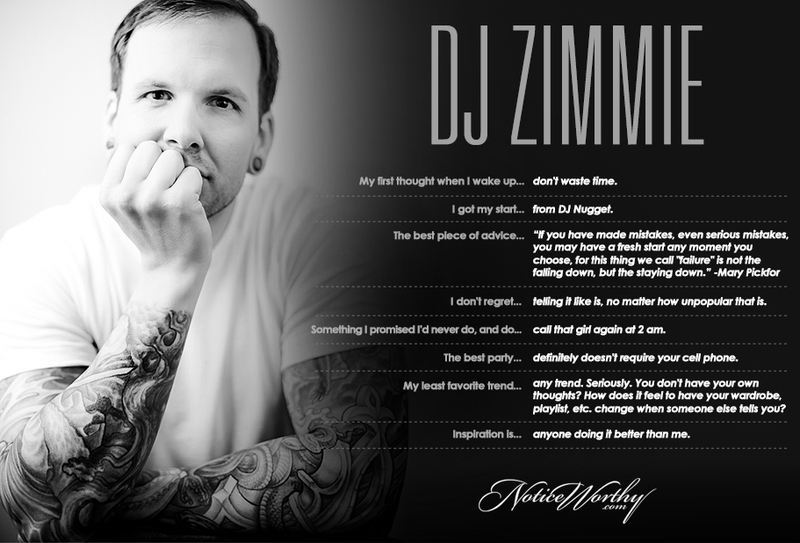 The ability to tell a good story: DJ Zimmie has it. From his analysis of the current state of DJing in acclaimed article "The End of DJing," to chopping it up on his podcast, to his regular contributions on DJcity.com, Zimmie lets you know. But the most essential Zimmie story of all is the one he tells every time he gets behind the decks.